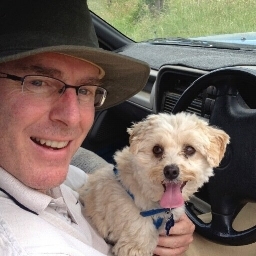 My Twitter profile reads: Christian, husband, father, freelance writer, editor and proofreader; aspiring landscape photographer; fascinated by owls; keen word puzzler; dog walker. I worked for 20 years as a print journalist with several country newspapers, a metropolitan daily and a national farming magazine. I also did some freelance writing and photography for a variety of newspapers and magazines. In recent years I’ve worked mainly in communications and public relations, in the tertiary education and community services sectors. Recently I wrote a 115,000-word manuscript documenting the history of the wide comb shearing dispute, which wreaked havoc on Australia's pastoral industry during the early 1980s. (See this post for details). I now run an editorial services business.